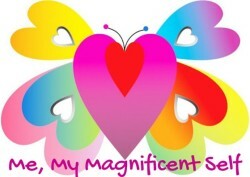 Welcome Pamela to my blog Me, My Magnificent Self. IAM honoured to have your magnificent presence here as my Guest on this weeks Blogger/Author Feature. I was delighted to finally meet you… a fellow Costa Woman and gentle Divine sister; who like myself, have travelled from your birth place to settle under the Spanish sun on the Costa del Sol to indulge in a joyous life with like-minded friends sharing your love and wisdom with the ones who are ready to fully awaken into Unity Consciousness. As Earth and Humankind evolves from living in the duality of love vs fear into a unity consciousness of pure love, we may wonder how exactly it will all unfold. Individually we are sensing the need to come together, both locally and online in support of each other as we walk our unique talk… moving out of the old and into the new… as our own Masters, co-creating a most loving, peaceful and harmonious New Earth from within. To know that your gentle soul walks in the Spanish mountains not far away, gives me a great feeling of peace, connectedness and love. I find that the basis for compassion is truly loving all of ourselves. Love is the greatest healer of all. Jesus embodies love and compassion; he symbolises truth and most of all the capacity to love unconditionally. My journey into a whole, complete human being has been quite an adventure. Without having lived and experienced an array of trauma, I would not have understood how to see others. Love and understanding are the foundation of which compassion stands. Compassion allows us to listen, care for, nurture and appreciate the self and the other, who is reflection of thyself. Our collective consciousness pulls us into the energy field for which humanity have aligned. This cycle continues; we see it in our children, brothers, sisters and parents. What ego do we recognise? The mirror reveals an identity to which we have been attached to. The depth of awareness necessary for human expansion takes mastery of one self individually. Strengthening the core abdominal brain; control of thoughts by feeling gratitude in all experiences, friend or foe; connection with the higher self, intuition and God, the infinite potential of the cosmos which awaits pure channels to bring love and healing to our Gaia. In a chaotic, archaic, hierarchical society, we must seek light and love. Love and compassion combined are the treasures of harmonious living. We once lived as tribes connected to our fellows in large families; manifesting and harvesting the fruits of loving, combined efforts. Individualism separates the being from true abundance, which is Gaia, she who births our physical reality. We have a duty to maintain. And develop the beauty of her gifts, the plants, trees, animals, crystals, air that gives the breathe of life, water which cleanses and purifies. One individual being with a heart filled with pure love, gratitude and compassion can extinguish fires from others pain-body by its presence alone. To reach from the lower energy of anger, fear, sadness and jealousy, one must walk courageously with a strong heart, certain that all deserve love and tenderness. I see us as god’s children; beings learning to grow up, diminish the powerful ego force with the green light energy of the heart, which has 500 times the power of the mind. Every being who learns to develop this power can transform lead to gold, metaphorically speaking. A heart of gold is born of love and compassion, like magic, pure intentions reap valuable, touching rewards. If we hold onto our stories of past, we keep them Alive in the collective thought-stream. To be free of the mind prison of negative thinking take courage to walk into the light of unknowing. Once you taste the peacefulness of light with love, the path opens up with opportunities, these are the steps we must follow. I find compassion for all the beings who have filled my journey in this lifetime. No more blame or regrets. Forgiveness is one part of compassion too, with the ability to surrender, “forgive others as they know not what they do”. We are free to be the example of the light of consciousness which burns the painful darkness and fear. Compassion is pure creative love. Creativity is our birthright, all is creation as we understand it. We have the choice in what we create, within and so around. Belief takes a firm place in this process. As so with thoughts, shaped by beliefs they are influencing our behaviours in life. “Stepping into the light will change your beliefs; prepare to die as a new level of consciousness emerges from the womb of the cosmos.” With this higher vibrational state that we heal and grow from, we also have great responsilbity, to our fellows, Gaia and all her creatures. Responsibility to do good, to do what is right with our, innocent intention and integrity. I will always be learning to grow and nurture the light within my soul so that I may be a shining example of a pure, loving, kind human being that nurtures and appreciates her great mother as she does so unconditionally for us. Gratitude serves compassion well, for when I thank the food I will eat, I savour every taste, I can be grateful for each act of thoughtfulness throughout the day and even to find thanks for the dreams I have wished to manifest. Like the seed that grows beneath the soil still creating roots and shoots. By believing in its potential and gratitude for its contribution, it may flourish with patience into a flowering tree which provides nourishment for this physical life. “Compassion is the seed within the soil of your heart”. If you choose to evolve, you will connect with the strength within you, you will explore what lies outside the comfort zone, you will awaken to love, you will become, you will be. You have everything you need. Choose to evolve. Choose love. We, ourselves only, have the choice, to walk in the light with love by the grace of God. I am a Conscious Healing Therapist, advocate for awakening the inner power and transformation of consciousness. I grew up in Scotland, the seat of the Celts, with a share of joyous and equally traumatic experiences, I have stepped outside of the bubble to allow myself to reconnect truly to my roots and the greater whole of humanity through living in community here in Andalucia. Within a special healing home on a crystal mountain I learn and grow into my higher potential to serve as a conscious warrior of the light. Working with shamans and healers, I have deepened my earthly purpose with dieta of the sacred Oak who gifts me strength and abundance. I am an honorary member of the earth tribe and serve only to heal and enhance the beauty of her creatures. The hub from where I work is Conscious Living and Healthiness. Holistic healing therapies; workshops and retreats to heal the being, physically and emotionally; awaken consciousness and free the spirit. Through the journey to the inner self, we improve wellbeing and enhance vitality. Deepening connection with your body, Gaia and releasing tension. I offer sessions and workshops in massage therapy, reiki, reflexology, meditative yoga, meditation, crystal energy healing, tarot individually and in groups. I love to write from the heart and have recently begun blogging to be able to share my unconditional love and meet like-minded friends online, especially here at WordPress. “Pamela’s massage was one of the best I have experienced, more because it was so apparent that she intuitively knew exactly what my body needed than it being relaxing just for the sake of it. Her focus, generosity of time and caring energy are second to none- I can’t recommend her enough.” Katie. It’s been a pleasure reading your inspiring words Pamela about your feelings on Compassion and I thank you for sharing your innate love and wisdom with the world and focusing on the creation of Heaven on Earth. Thanks Barbara for another beautiful way to connect to our magnificence. Pamela, I love your perspective on compassion, gratitude and forgiveness as gateways to the energy of love and heart. A wonderful introduction to another valued member of the Earth Tribe.. Thank you for your introduction to Pamela Barbara.. Loved reading about her healing love of Gaia and all living things.. Many thanks for opening your heart and sharing your Love here..